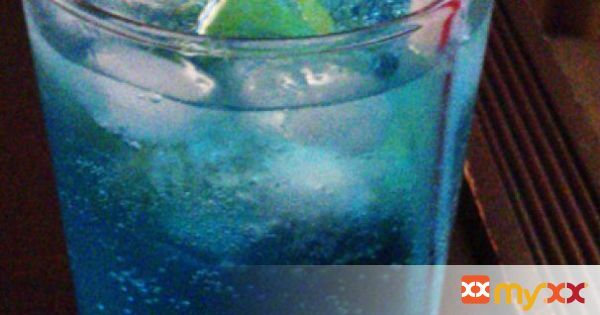 This amazingly blue colored cocktail is sure to impress your friends at your next BBQ or party, it's tropical and fruity by nature so it's best suited for summer time. But hey, who doesn't cheat and drink this kind of stuff all year round anyway? ;-) You'll also be happy to know that this blue lagoon cocktail recipe is super easy and comes together in seconds. Enjoy! 1. Fill a high ball glass (or a hurricane glass if you like it fancy) with fresh ice and pour in 2 ounces of whatever good quality vodka you have(I like Russian Standard or Absolut but any will do) and 1 ounce of blue curacao. 2. Top with lemonade and stir. I like to use sparkling lemonade or San Pellegrino, so I usually don't shake this cocktail, but if you're using regular lemonade feel free to toss it all in a shaker to mix it up more quickly. 3. Garnish with a cherry and a slice of orange and you're on your way to that island paradise you always dream of. Enjoy your blue lagoon!